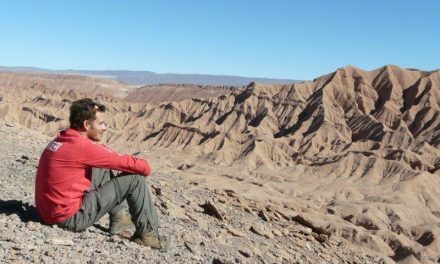 Lovers of nature, sunshine, beaches, fresh fish and adventure will want to include the picturesque city of La Serena and its surrounding areas such as Coquimbo and Elqui Valley high on their ‘to do’ list. Known as the capital of Chile’s coastline, as well as being the second oldest city in Chile (founded in 1541), the colonial architecture enriched with history and mixed with the tranquil vibes provide visitors with a sense of escapism that differs from other neighbouring cities in Chile. Arriving to La Serena, we had to remind ourselves this was, in fact, a city. Although the towering sky scrapers that lay along its long beaches say otherwise, once out of sight, the city is saturated with a more European ambience, a clear indication of its colonial heritage. La Serena also has an excellent sky for star-gazing, so head to one of the many observatories outside of town. 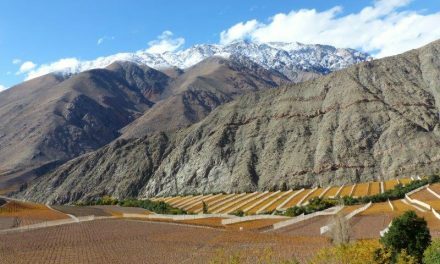 The most popular is Mamalluca in Vicuña village, in the Elqui Valley. 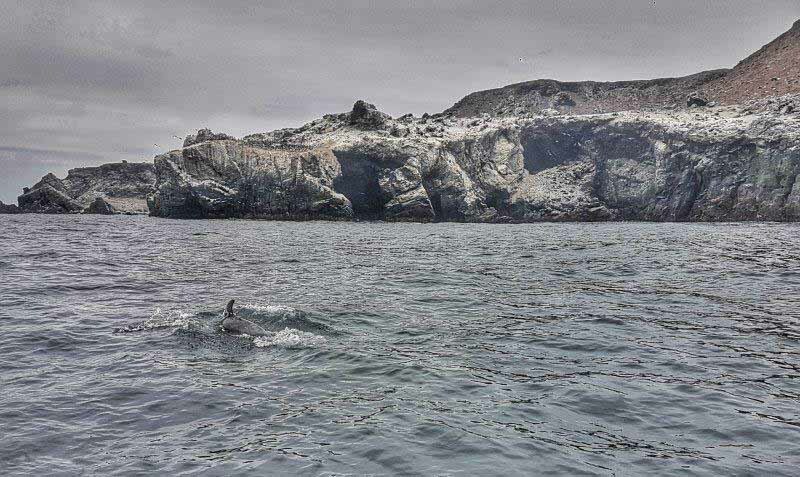 Make sure you visit Isla Damas for the wildlife – you can see Humboldt penguins, sea lions, pelicans, dolphins, as well as go kayaking, sailing, fishing, scuba diving or picnic in the park! 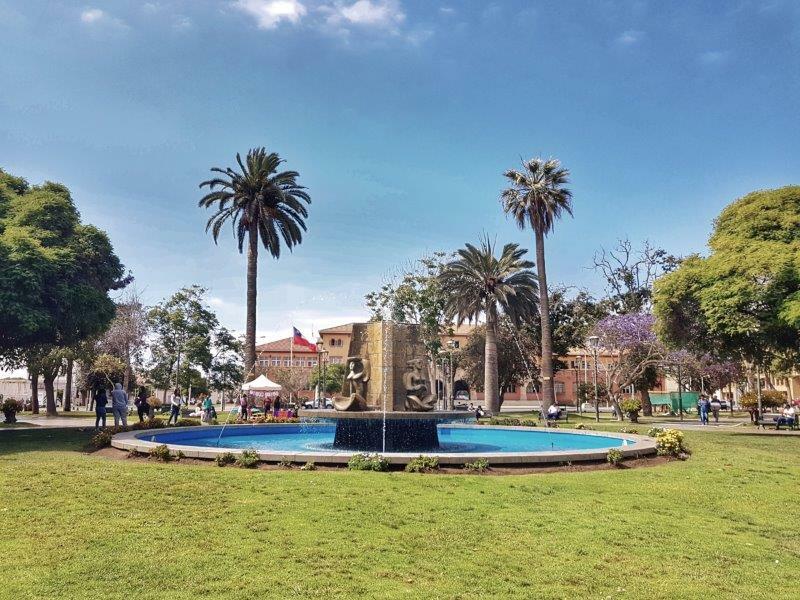 With plenty of attractions to visit, from the many churches and free museums, the long stretch of beaches leading to Coquimbo, to enjoy the sunny days, and a lively nightlife on both Avenida del Mar or in Coquimbo’s Barrio de Inglés, La Serena really is a tourist’s heaven. All roads lead to La Serena, meaning busses travelling from both north and south pass through. Companies such as Pullman have regularly running services from early mornings to overnights. Simply log onto their website for the full schedule and prices. The main bus terminal is within walking distance to both the Plaza de Armas and the nearby Recova Market where you will find majority of accommodation options. To reach the Plaza de Armas, exit the terminal and turn left and walk straight until you reach the Panamericana Norte highway. Take an immediate right, pass the Copec petrol station and turn right on to Francisco de Aguirre. The Plaza is located on the third left, two blocks to the right. Take the day to get lost amongst the church saturated streets or visit the central Plaza de Armas and join the locals perched on the benches hiding from the sun under the variety of trees growing there (all labeled for those interested!). Or find a patch of grass around the centred water fountain, soak up the sun, inhale the smell of freshly cut grass and growing flowers while enjoying the music blaring from the nearby kiosk. When it comes to the Plaza de Armas, there is something truly relaxing about people watching here. Facing the octagon shaped Plaza de Armas is the government buildings, and to the right is Cathedral La Serena, a rustic wooden church that is open to visitors, and is free to enter. On the opposite side is the main tourist office which opens from 9am-6pm offering free maps, tour information and any other points of interest regarding the city. The most popular museums to visit, and ones we highly recommend, are the Archaeological Museum and the History Museum, both free to enter and open until 6pm. The Archaeological Museum holds over 12,000 artifacts from all over Chile, offering a unique look into the lives of the Diaguite people. History buffs will enjoy the mass of information and unusual displays of tools and crafts that share the native people’s methodologies from fishing to cooking. Whereas the History Museum focuses on the life and career of Gabriel González, a significant figure in Chile’s history as one of the most popular presidents to date. Born in La Serena, he was not only the first president to reach the continent of Antarctica but González also played a huge factor in the reform that gave women the right to vote. 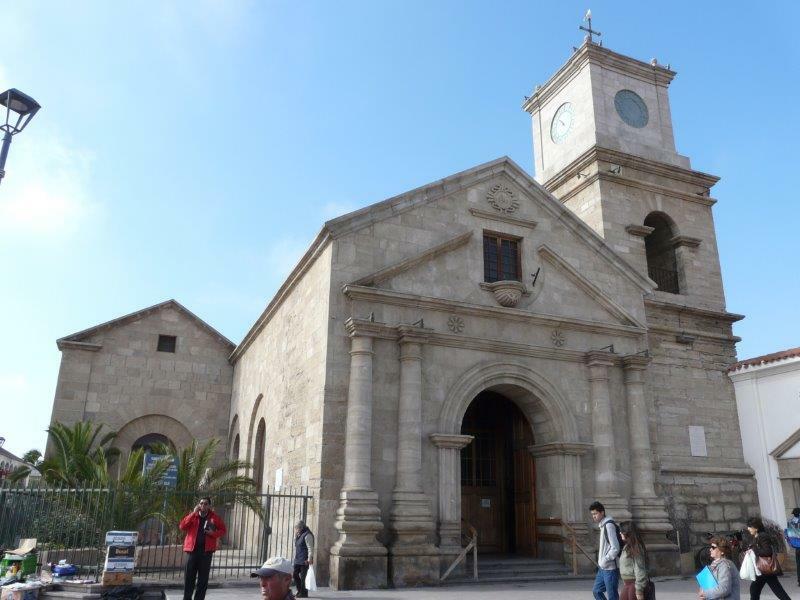 This museum can be found along the Plaza de Armas, opposite the Cathedral La Serena. 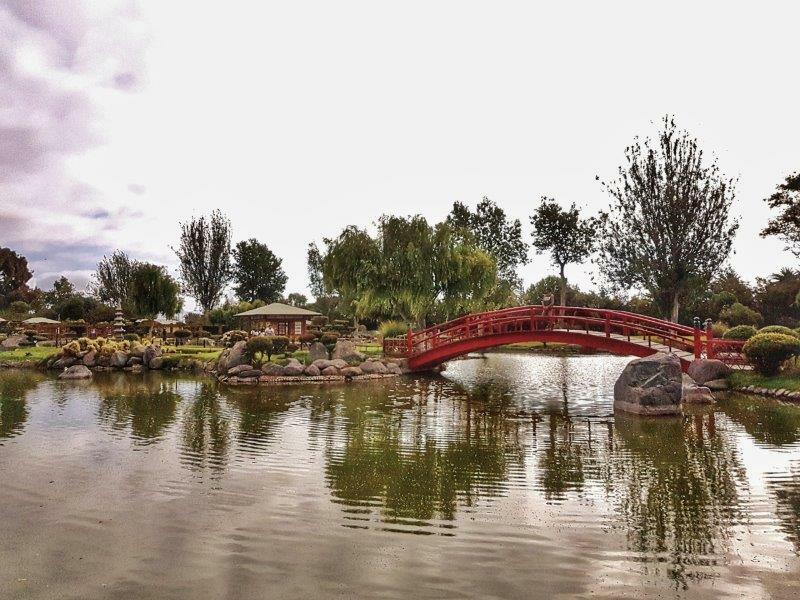 One of our highlights in La Serena is the extremely beautiful Jardín del Corazón, also known as the Japanese Gardens. Opened in 1994, the CAP mining company donated the garden to the city for its 450th birthday and now, so perfectly manicured, it is the largest Japanese garden in the whole of South America. Located on Avenida Juan Bohón, the entry fee is $1,000 per person and is open to the public every day from 10am-7.40pm. Honestly, you would easily spend the day here and it is worth every penny. The only thing to note is that all signs and any explanations are only in Spanish. Beside the Japanese Gardens is the Parque Pedro de Valdivia, a public park with a number of football pitches, gardens, picnic areas and a mini zoo. Walk among the free grazing llamas and visit the South America grey fox, the 150-year-old tortoise, the very large vulture plus many more. A great day out for the kids. The best part is that it is free entry and open from 9am until 6pm. However, the mini zoo closes at the earlier time of 5pm. 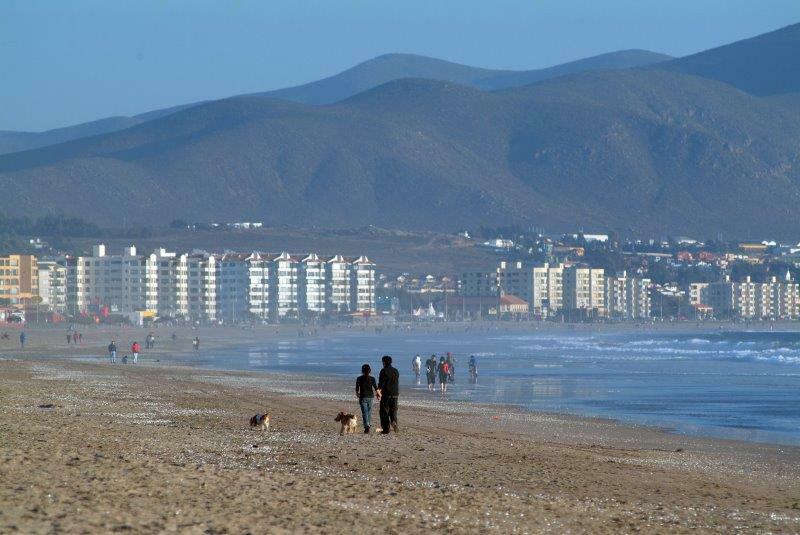 El Faro Beach is the main stretch of sand in La Serena, and easy accessible by foot. A simple 20 minute walk from the Plaza de Armas, leave the Plaza via Los Carrera and after two blocks, take a left onto the main road called Francisco de Aguirre. From here it is a direct walk straight to the beach towards the lighthouse. 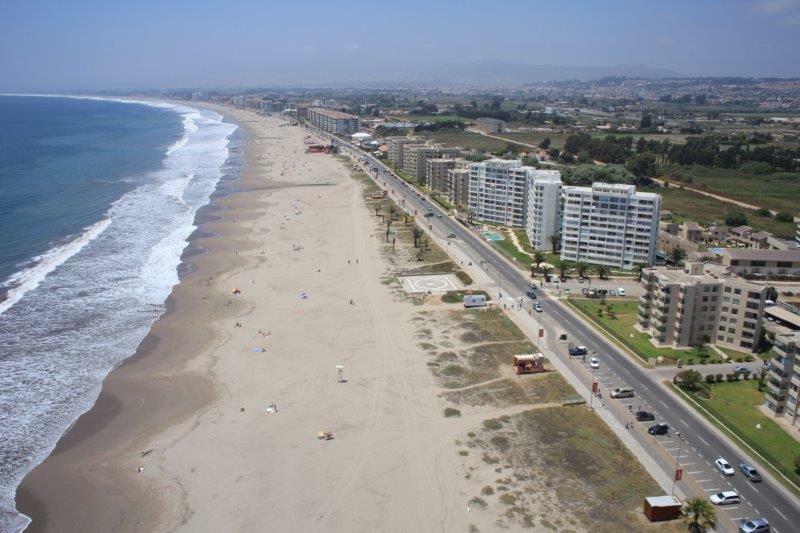 La Serena and its beautiful beach! Alternatively, to cut down on some walking time, head to Calle Infante near the Recova Market and board any passing bus with Coquimbo displayed on front. Jump off the bus at Cuatro Esquinas (ask the bus driver to tell you when close) and from here it is a 10 minute walk straight onto the beach. The beach itself is long, wide, clean and always patrolled by lifeguards. 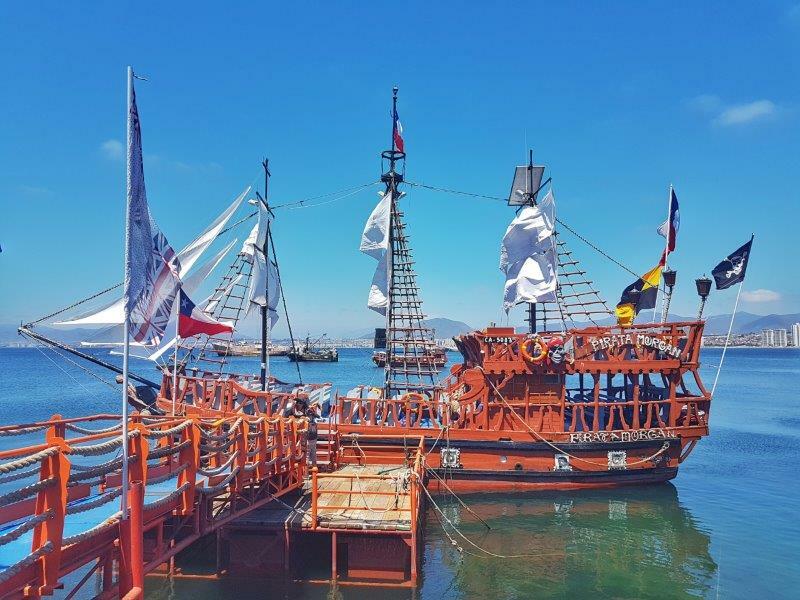 There are no water sports available due to the lesser calm waters than those in Coquimbo. Sitting high on the sand is the El Faro Lighthouse, a popular place to catch the sunset. Pop down between 8pm and 8.30pm on a clear evening. 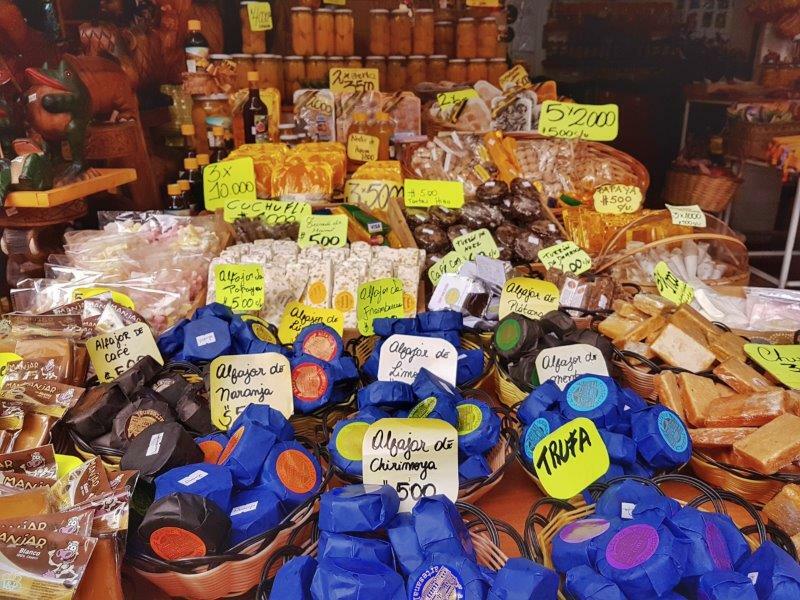 No trip to La Serena is complete without a visit to the local Recova Market, where you can buy locally made, and our favourite, peach, manjar and orange spreads. Take a seat in the centre of the market and enjoy the buzzing atmosphere, or browse along the artisanal products in search of that perfect gift. 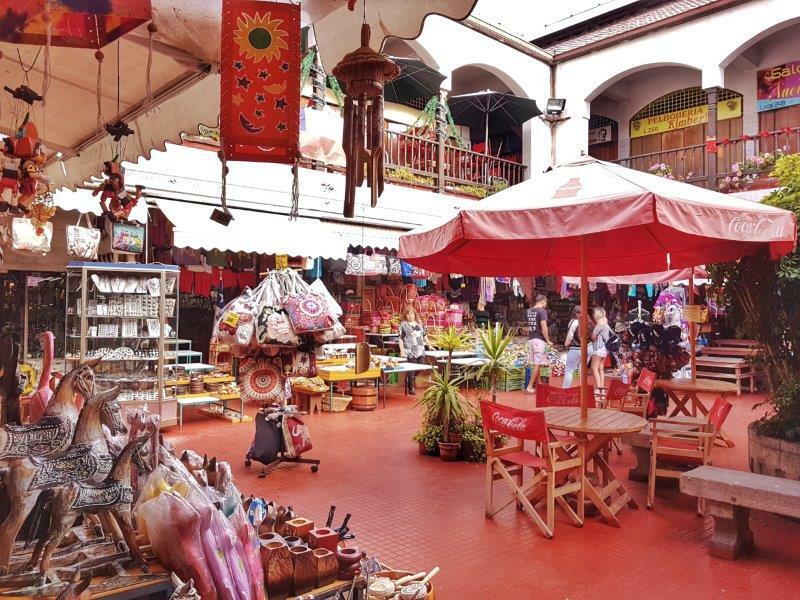 The Recova Market is the perfect spot to buy some yummy food or a nice souvenir. For clothes and cheap bargains, head to Liber Bernardo O’ Higgins near the Plaza de Armas. This is essentially La Serena’s city centre shop street. Take the street veering away from the Plaza, next to the Cathedral La Serena and walk for two blocks. You will see a number of indoor clothes markets as well as independent stores, bars, cafes and restaurants. For those who love to spend the day in a mall, next to the main bus terminal is the Mall Plaza la Serena. Become lost while bargain and boutique hunting, or discover the world of designer wear in the large two storey, indoor and outdoor maze. Tourists will also be happy to know that the cinema found behind the mall shows both dubbed and original language movies with subtitles, perfect for hiding away from the glaring sun. 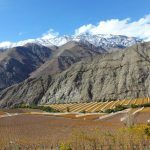 There are many travel agencies that run tours from La Serena, being the most popular ones the Elqui Valley tours, that include a number of attractions such as the papaya factory, a pisquera, museums and the Embalse Puclaro lake (tours prices around $25,000). To visit an Observatory, tours prices also start at $25,000. This price includes transport and the entry ticket. 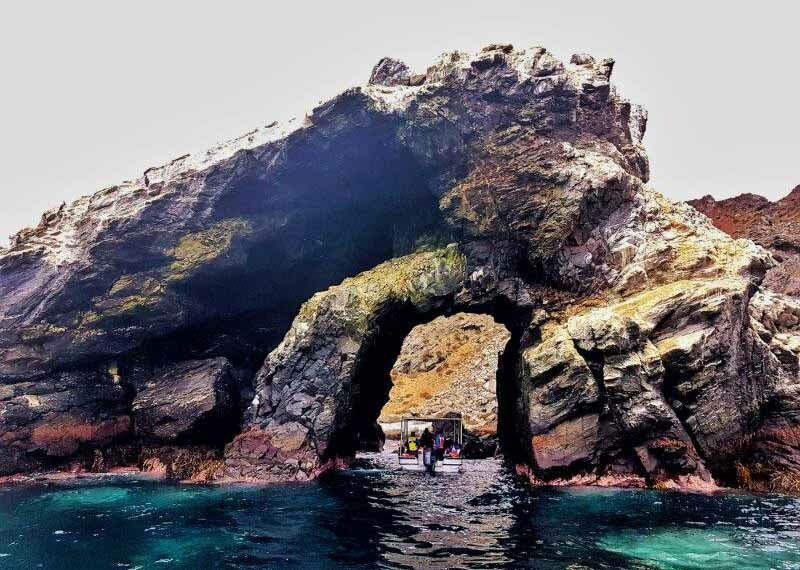 Isla Damas Tours start at $40,000 and include transport to Punta Choros, the national reserve entry ticket, boat trip and lunch in a local restaurant. For the lovers of wildlife and nature, on the opposite end of the La Serena coastline is Punta Choros. A fishing village and gateway to the Pingüinos de Humboldt National Reserve, this is where thousands of species of birds, from blue footed boobies to humboldt penguins, and hundreds of mammals, from sea lions to whales and dolphins, all call home. The reserve is made up of three islands, Damas, Choros and Chañaral, Damas being the most beautiful and the only one open to public visits. Get ready for rock formations like this! It’s possible to book a tour, but the more affordable option is to visit DIY and book directly from Punta Choros. Take the ‘Bus a Punta Choros’ minibus that leaves at 9am every day from outside the Panadería y Rotisería Los Griegos on Francisco de Aguirre. There is only one bus per day so we advise that you pre-book a seat, as the bus fills up quick quickly. For advance bookings call (or Whatsapp) +56997170122. Remember to arrive to the departure location between 8.40 and 8.45am. The bus takes 2 hours and costs $9,000 for a return ticket (or $4,500 each way). When departing the bus in Punta Choros, book your place to return to La Serena. The bus leaves Punta Choros at 3pm, plenty of time for a tour around the islands. Once in Punta Choros, there are two tickets you will need to buy before disembarking. Firstly there will be touts waiting at the bus to sell you boat trips for $10,000 per person, this is the going rate. Alternatively, visit the Boleteria up on the right as you exit the bus. There are plenty of boats and regular services running from 9am-4pm. With your boat now booked, next is to visit the Conaf office to purchase the entrance ticket for the national reserve. Locals pay $3,000 per person and foreign visitors pay $6,000. This is essentially a contribution to conserve the natural environment, so think of it like a donation of sorts. To find the Conaf offices, follow the blue signs near the cafes and eateries. Show your boating ticket and receive your entry ticket. With both tickets in hand, head to the port and wait until the captain calls the boat name and number. Put on your life jackets and prepare to board the motorboat. The tour begins with an hour and half boat trip around the two islands Choros and Chañaral. Here we saw sea-lions, penguins and even dolphins. We then went to the Damas Island where we had an hour to explore on foot, and witnessed the unique vegetation and fauna that spreads across the island. The pristine soft white beach and turquoise waters are inviting but swimming is prohibited. There are also simple hiking circuits available, the longest being 40 minutes, as well as a mirador to enjoy the island from up high. Overall the tour is an enjoyable day out. 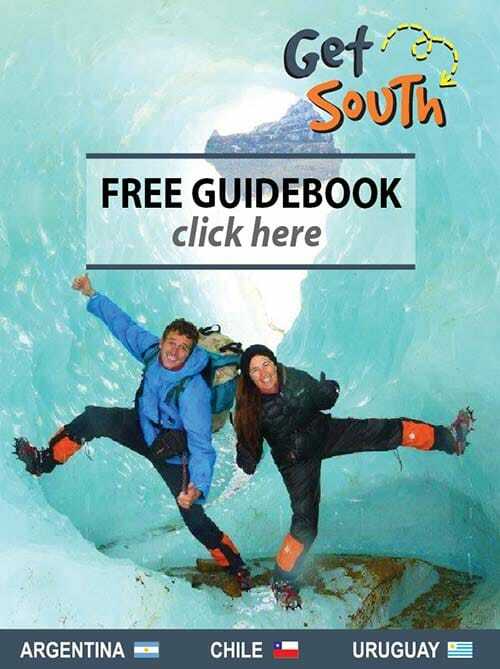 Non-Spanish speakers should be aware that there is no English speaking tour guides available so you may be a little lost at sea and in translation. 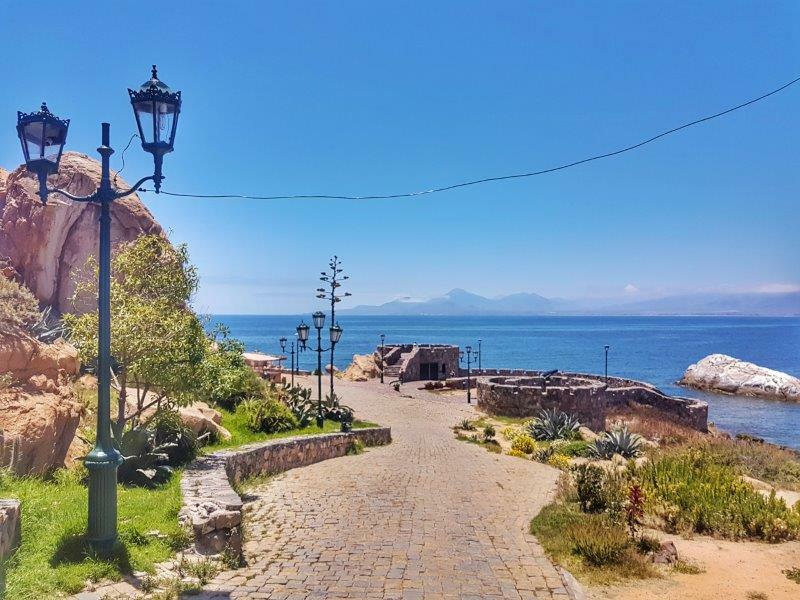 A beautiful port town, and the capital of the Elqui province, only 10km south of La Serena is the ‘rough and ready’ Coquimbo. 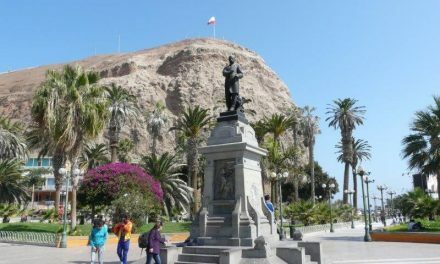 A little less polished than La Serena, Coquimbo has a lot of character with its bustling fish market, graffiti ridden walls, energetic streets and bohemian feel. 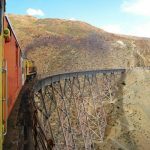 We fell deeply in love with Coquimbo, with its colourful and mismatched houses all etched into the rocky mountainside that either stretch high along the rock-face or pour down towards the coastline. A hub for some of Chile’s best beaches and water sports, short city hikes, the freshest fish you will taste and other gastronomical delights, we would place this high on the list of ‘things to do in La Serena’ especially since a day visit is doable. However, we also suggest spending at least a night to fully embrace the nightlife also. A beautiful beach stroll, a sunny cycle or a simple bus ride, it is too easy to reach Coquimbo from La Serena city. Micro busses leave from Calle Infante, one block behind the Recova market. Take any bus with Coquimbo displayed in front. It costs $600 per person and takes 20 minutes. Walking to Coquimbo is one of the options to get there. Hire a bike and cycle along the Avenida del Mar on the direct path to Coquimbo. There are bike stations near both the port and the Plaza de Armas in Coquimbo. 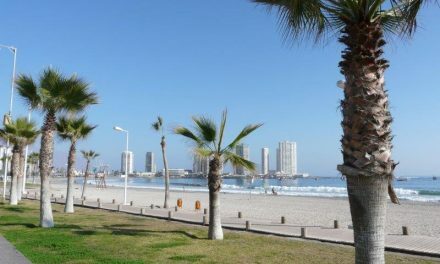 With the beautiful sunshine and fresh sea breeze, in as little as an hour and half you can walk along the beach to Coquimbo. Starting from Playa El Faro, there really is no better way to exercise, tan and sight see at the same time. 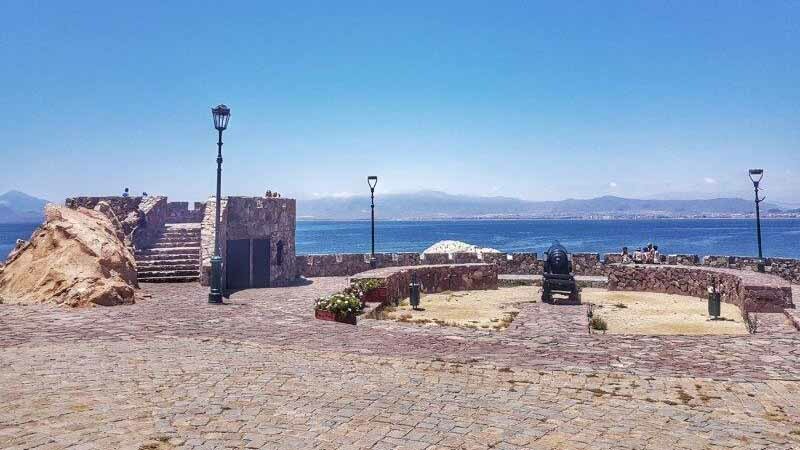 Originally built in 1865 to guard the entrance of the bay of Coquimbo during the war with Spain, the beautiful brick fort, consisting of two canons, is free to visit and open until 5.30pm. The fort is named after Carlos Lambert, who reconstructed it in 1879, to protect his ports against possible attacks from the Peruvian Navy during the Pacific War. Fuerte Lambert in Coquimbo. What a view! Enjoy a quick and interesting history lesson alongside an ocean view of La Serena city while watching the nearby sea lions bath and splash on the island below. 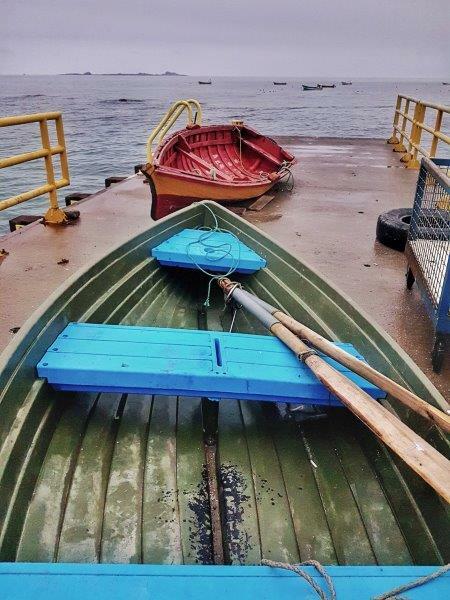 Considering Coquimbo is primarily a port town, a trip on the water is a must while here. 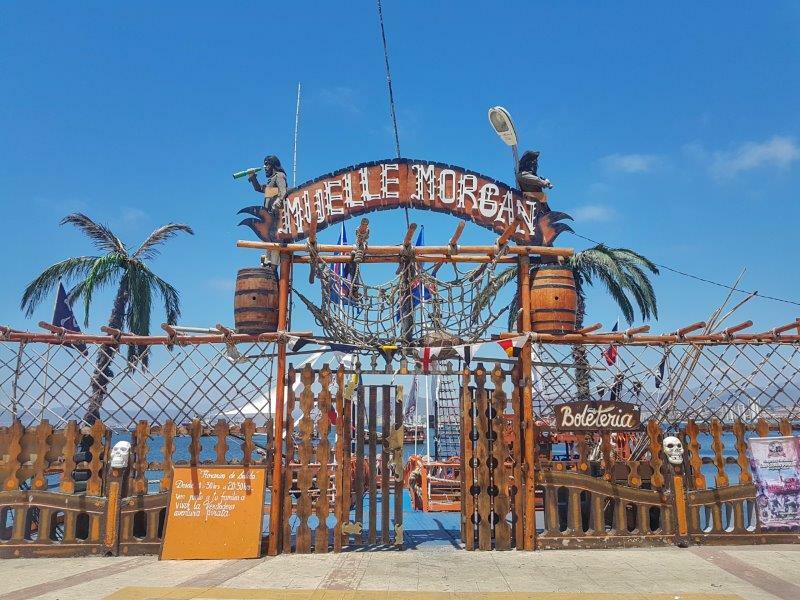 Our first suggestion is to explore the sea on the Muelle Morgan, a large pirate ship with all the full trimmings. Fully costumed pirates included! So gather your mateys and board the large ship that leaves every day at 1.30pm, and again at 8.30pm for the sunset. Spend an hour circling the bay hunting for gold for only $3,000 per person. As they say so themselves, this is a “true pirate adventure”. Arrrrrgh, it would be rude not to! Don’t forget to explore the Pirate Ship! Another regular service is the Catamarán Mistral which leaves at 1.30pm, 3.30pm and 5.30pm for 3,500CP per person. 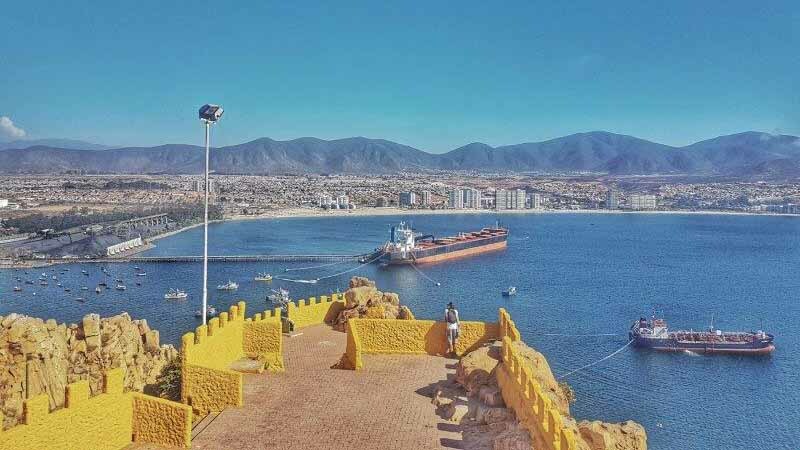 A similar itinerary, the trip lasts an hour and travels around the bay to Isla de los Lobos and Bahía La Herradura, Coquimbo’s fabulous postcard beach. To visit The Third Millennium Cross, from the port or the plaza, take any road towards the hilltop and follow the zig-zag stairs upwards. 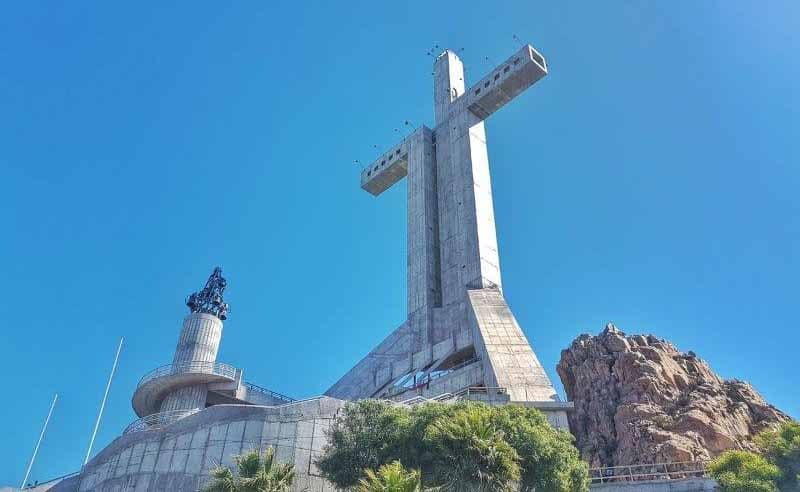 Of all the available routes to the top, we most definitely recommend taking the trail on Calle Bilbao to enjoy some visual pleasures, as the entire walkway is lined with eye pleasing art, story-telling murals and Coquimbo talent. Once you reach the top, avoid the narrower staircase and instead follow the flat main road that will bring you to the cross’ doorstep. General entrance costs $2,000 and this includes full access to the third level viewpoint, museum, culture square and a breathtaking panoramic top floor view. Open until 9.00pm in high season and 6pm in low season, at night the cross is fully lit however please be careful walking to the attraction at night. It may be best to take a taxi from the Plaza for roughly $1,000. Although not the most beautiful Plaza, especially compared to La Serena, the large shell sculpture is certainly an interesting choice of centrepiece. With mostly teenagers hanging around, thanks to it being a free Wi-Fi zone, there is a lack of atmosphere until later in the evening when the town becomes more alive thanks to its buzzing nightlife in the nearby Barrio Inglés. 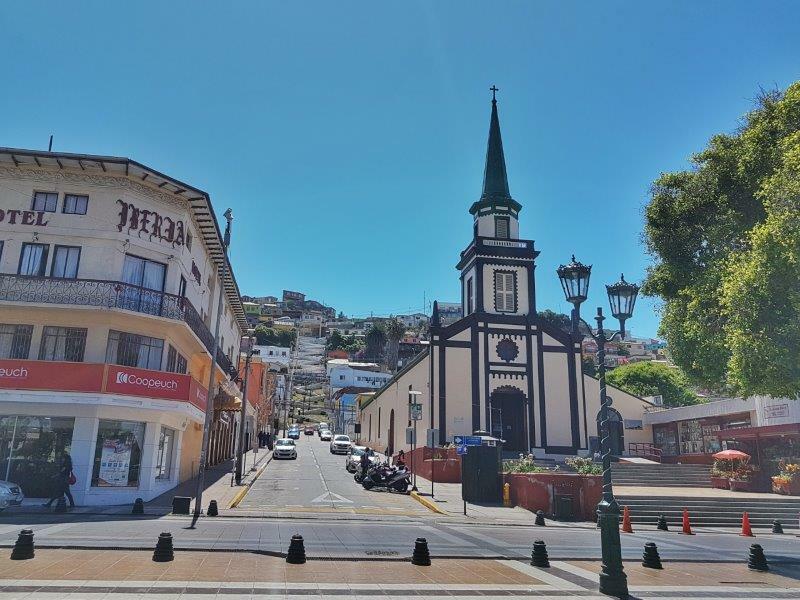 The plaza sits under the watchful gaze of the hilltop neighbourhoods, find and climb the zig-zag stairs for a God-like view or visit San Pedro church, a small but beautifully built cream and black arched structure. With the freshest fish we have tasted in all of Chile, Coquimbo fish market is a world of its own. A variety of seafood of all shapes and colours, pungent aromas, sellers screaming for sales and waiters whizzing by with tasty looking dishes, this is where you need to have that well deserved lunch or dinner. Budget friendly deals and a la carte menus; our favourite was the churrasco marinera, a fried fish sandwich with pebre. Honestly, it’s delish, filing and cheap (around $1,000). For the best sunset, even better than La Serena, visit the Navegantes Mirador. The popular viewpoint can be found within the Pampilla grounds. A large desert-like site dedicated to recreational activities and sports. It is free to enter, and the many windy, dusty paths lead to some adventurous coastal points that allow for some jaw dropping views of the Pacific as well as a full view of La Herradura Beach, a popular spot for water sports, swimming and sunbathing. A colourful neighbourhood with painted murals to share and describe the local history and story of the English and European settlers that once called Coquimbo home over the thousands of years. Although it’s impossible to compare the architecture to that of Great Britain, the bright pastel-painted wooden houses, all with balconies and unusual (slightly creepy) lifelike figures placed on the balconies, is somewhat close enough. Each building holds a plaque which tells of the building’s history and origin. The Barrio Inglés begins at the Plaza Vicuña Mackenna until the Plaza de Armas, a popular spot for nightlife since every second doorway is a bar or restaurant. 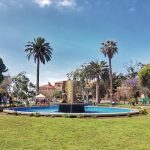 There are late night busses back to La Serena that pass the Plaza de Armas but those with any safety concerns may wish to take a taxi instead.